It was fantastic to see so many families taking the time to attend the open day, and there was plenty to amuse adults and children alike. 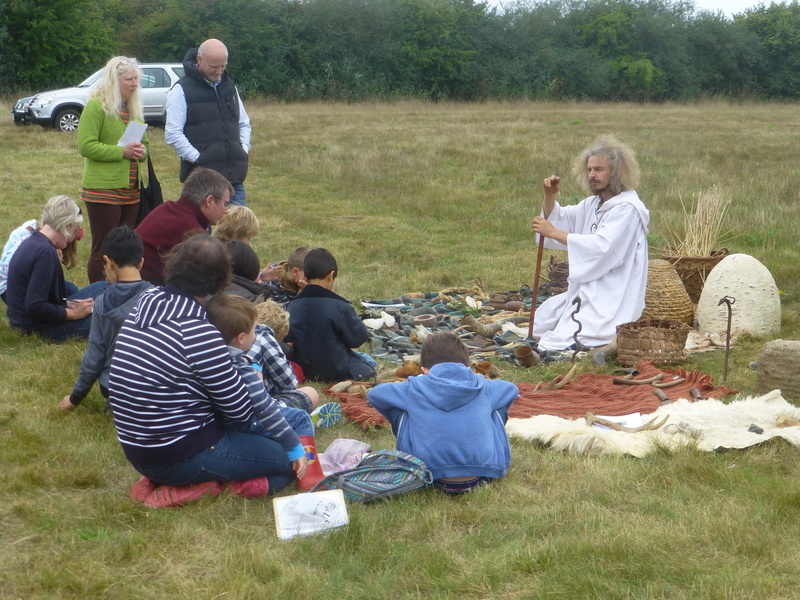 About 50 children completed the Children’s Archaeology Trail which offered a range of activities for different ages and interests. After tasting all the wonderful Roman food that was on offer, children were encouraged to complete a Roman menu puzzle which illustrated some of the weird and wonderful Roman dishes as well being able to read a first-hand account of a Roman feast. 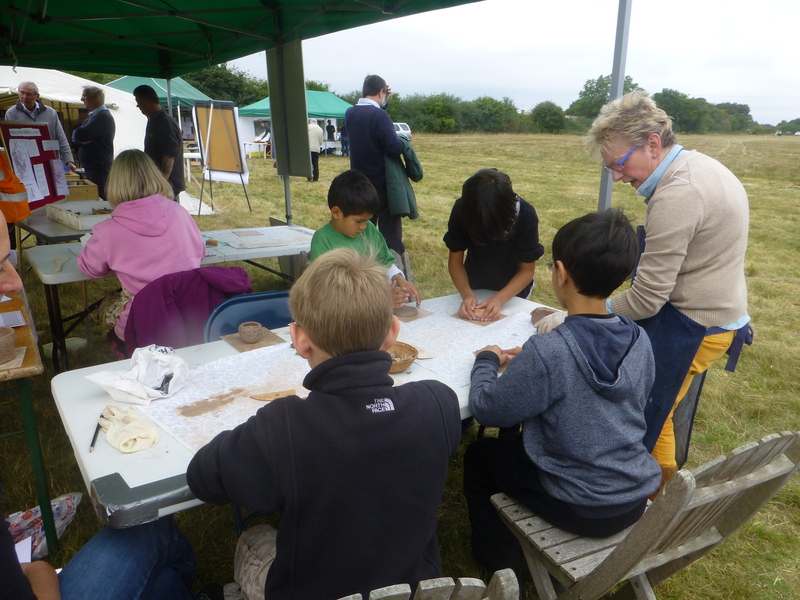 As there were so many fantastic archaeological artefacts on display there was plenty of opportunity for children to learn about the object and the post-excavation process in general, as well as trying some of the pottery and bone identification activities. These involved matching artefacts with descriptions as well as asking them to identify what ‘scene’ was depicted on some of the Samian ware, or working out what artefacts these animal bones might have been made into. Some brave souls tried the Toga Trial which involved them making a laurel wreath and a scroll and then dressing themselves in a Roman toga, this was usually accompanied by much laughter and posing for (or hiding from) the camera. The wonderful Celtic Chris and Bear his lovely dog from Acorn Education worked their usual magic and Chris enthralled his audience with stories and music, and helped them imagine what it was like to live in the Iron Age by allowing them to handle some of the objects he had made and brought with him. 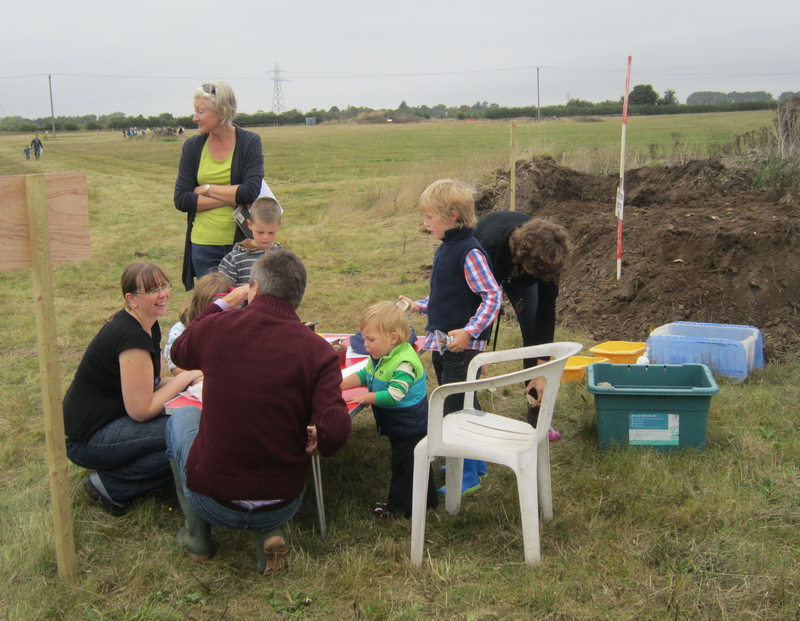 The Spoil Heap Excavation Challenge was by far the favourite activity for old and young alike. 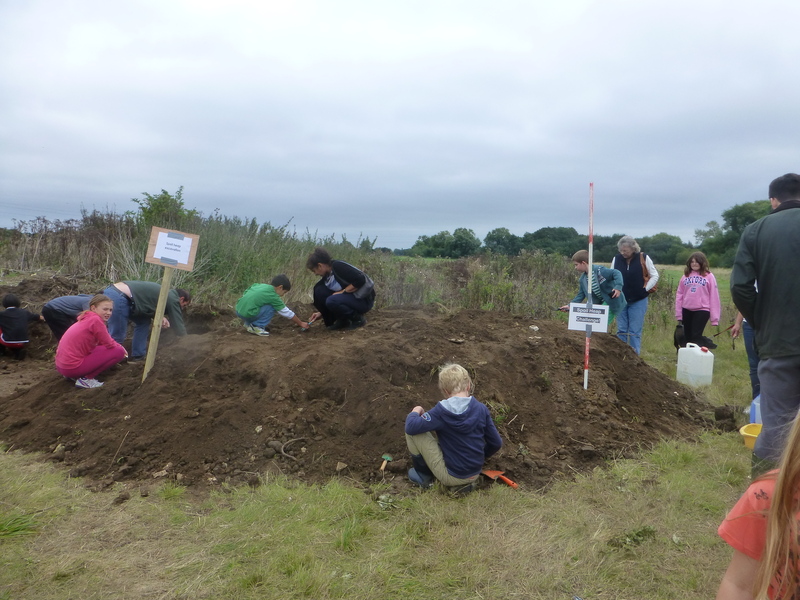 By the afternoon children and adults were seen swarming over the spoil heap like ants, some in competition with each other with what they could find, some meticulously digging one area, others trying the pot luck approach with holes everywhere. Luckily no one went home empty handed, and many of the kids told us of their intention of taking their finds into school. It was so popular that one young lady (who proudly informed me she was a returning visitor to the site) had specifically put her birthday celebrations on hold to spend the day happily digging with her family, who had even brought their own trowels! That presents and cake took a backseat in this case makes me wonder if there is the making of a future archaeologist here. Before she left she carefully bagged up all her finds and took her spoils home with her, one very satisfied customer indeed. If digging was the favourite activity, then making an ancient pot came a very, very, close second. I was amazed by some of the wonderful pots the kids produced, and it was evident how much they enjoyed themselves and the pride they had in their handiwork. Everyone took home a pot that they could then bake and keep as a reminder of the day or to show off to friends. Well done Ricky, you did some fantastic work with the kids.